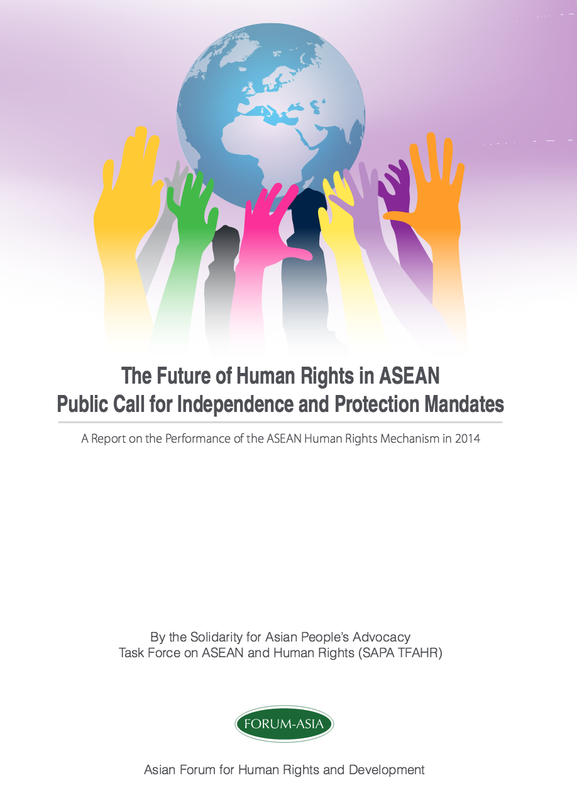 The ‘Future of Human Rights in ASEAN – Public Call for Independence and Protection Mandates‘ is the fifth report on the ASEAN Human Rights Mechanism since the establishment of the ASEAN Intergovernmental Commission on Human Rights (AICHR) in 2009 and the ASEAN Commission on the Promotion and Protection of the Rights of Women and Children (ACWC) in 2010. A series of consultations has been conducted as part of this review. Unfortunately, this has seemingly borne no fruit as there is a lack of available and relevant information nor is there any sign from ASEAN member states on what change and improvement this review will effect in empowering this regional human rights body. This report provides a summary and assessment of general expectations arising from civil society organisations (CSOs) and other stakeholders through their participation in this 2014 consultation. This report presents a number of recommendations for both AICHR and ACWC, as well as ASEAN itself. This report has been prepared by the Asian Forum for Human Rights and Development (FORUM-ASIA) and the Solidarity for Asian People’s Advocacy – Task Force on ASEAN and Human Rights (SAPA TFAHR).